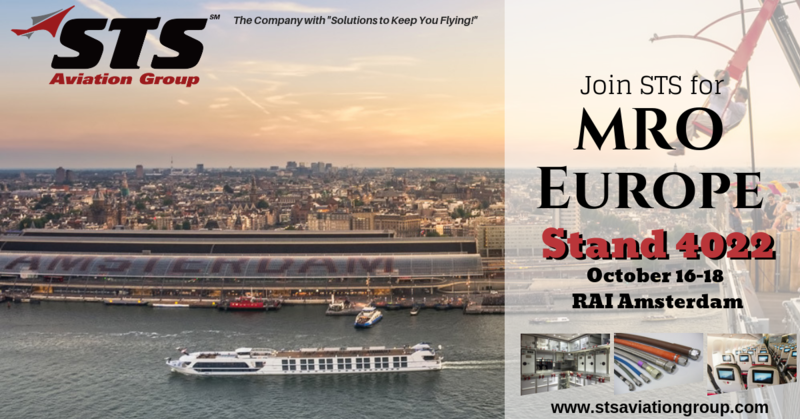 STS Aviation Group Readies for the 2019 Avionics Maintenance Conference! Year after year, maintenance industry professionals gather from all around the globe in one place for two great conferences. The Airlines Electronic Engineering Committee (AEEC) General Session and Avionics Maintenance Conference (AMC) are jointly held while providing a platform to discuss and explore common issues and advancements within the industry. Opportunities for discussion take place during technical symposiums, working group activities, and fun casual networking events within the hotel’s many hospitality suites for three consecutive event nights. You can view the full event schedule by clicking here. The objectives of AMC, as stated on the organization’s webpage, are to promote reliability and to reduce operating and life cycle costs of air transport avionics by improving maintenance and support techniques through the exchange of technical information. The benefits of AMC for airlines are long-term success in economic management and operation of commercial aircraft. Members of STS Component Solutions, Pat Tyler (Vice President, Global Sales & Business Development), David Ikeda ( VP of EMEA), Kerry Obiala (Director, OEM Product Lines, Product Development), Gabrielle Daniele (OEM Product Line Representative, Product Development), and Taylor Salisbury (Marketing & Events Manager) will all be available to meet with during the conference and networking events, to discuss any of your company’s aircraft inventory management and programs support requirements. Within the STS Hospitality suite (co-hosted with OEM partners Acme Aerospace, Aerosonic Corp., Avionic Instruments and MarathonNorco Aerospace) you can expect outstanding entertainment options, great food and even better company among our team and your peers! On Monday night, you will be transported back to the 1920’s. In the STS speakeasy you can enjoy classic old fashioned cocktails, a live jazz band and hand rolled Cuban cigars! On Tuesday evening, STS will be set inside the AAI Exhibits & Manufacturer’s Reception from 6:00pm – 8:00pm, showcasing our growing OEM Distribution portfolio and VMI Program offerings. Following the exhibition, the party returns to the STS suite for a 80’s night dance party! DJ Coco Jambo will be spinning the best 80’s dance hits while party-goers break it down on the LED dance floor. You can also try out the oxygen bar, sip on our specialty TC cocktail, enter to win raffle prizes and more! To wrap up the conference on Wednesday night, come and kick it with us for a fun yet competitive party with giant Foosball and interactive soccer games. This conference is sure to provide opportunities for key airlines, purchasers, OEMs and suppliers, to collaborate and make strides towards future advancements in systems and component design, reliability, and cost effectiveness. Be sure to fly by the Rokoska Suite and meet the STS team. We can’t wait to see you all in Prague! This year’s MRO Americas is going to be the best one yet! Do you want to know why? 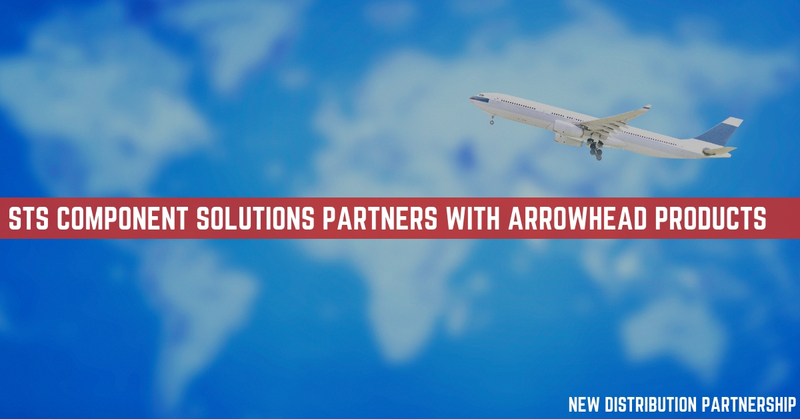 Because the MRO industry is booming, our company is growing, and we have new, innovative products and services to introduce to the global MRO industry at this year’s event. What new products and services will STS Aviation Group be unveiling, you ask? That’s a great question (the graphic above will give you a hint). And while we’d love to tell you all about them right here and now, we can’t. You’ll just have to fly on over to Booth #3221 during this year’s MRO Americas in Atlanta to see what all the buzz is about. OK – That’s enough of a teaser, right? We suppose that it’s time for us all to get back to it. We hope to see you at Booth #3221 during this year’s MRO Americas, and if you’d like to make an appointment to have a one-on-one meeting with an STS Aviation Group team member during the event, please email: taylor.salisbury@sts-cs.com or reach out to your direct STS contact. Thanks so much, everyone, and fly safe! MRO Middle East is the region’s leading conference and trade show for commercial aircraft maintenance. Attendees gain the opportunity to discover the critical issues currently impacting the MRO industry while being able to engage with 4,400+ colleagues, 320 solution providers, customers, peers, and competitors from all segments of the business. With the Middle East having the second largest fleet and MRO growth rate in the world, you can’t find a better place to network with the key people responsible for fostering growth within the region, developing cutting-edge technology, and propelling the MRO industry forward. STS is excited to once again exhibit at this prestigious conference within the Gulf region of the Middle East. Since last year, STS Aviation Group has grown exponentially, and the company now consists of nine distinct divisions encompassing many service areas of the aviation industry. There is STS Technical Services, STS Engineering Solutions, STS Line Maintenance, STS Component Solutions, STS Air-Pro, STS UJet, STS Mod Center, STS AeroMod and STS GSE. From staffing your team so it can get the project done right and at an affordable price, to providing certified aircraft and engine components so you can get off the ground and back in the sky, STS continues to be a one-stop servicing center for all of your company’s aviation support services and requirements. Representatives of STS, David Ikeda (VP of Sales-EMEA, STS Component Solutions), Brian Wilson (Account Manager- EMEA, STS Air-Pro), Daniel Burgess (VP, STS AeroMod), Justin Starr (International Operations Manager, STS AeroMod) and Mark Robertson (President, STS UJet) will all be available to discuss your company’s aircraft inventory and modification requirements. MRO Middle East’s specific focus on commercial aircraft MRO ensures the buyers and solution providers you want to meet will be there. With upwards of 3,750 commercial MRO professionals, exhibitors and attendees from over 70 countries, MRO Middle East is the best place to view and test the industry’s newest cutting-edge MRO solutions and services. Remember to fly by Booth 1314 and meet the STS team. We look forward to seeing you in Dubai! 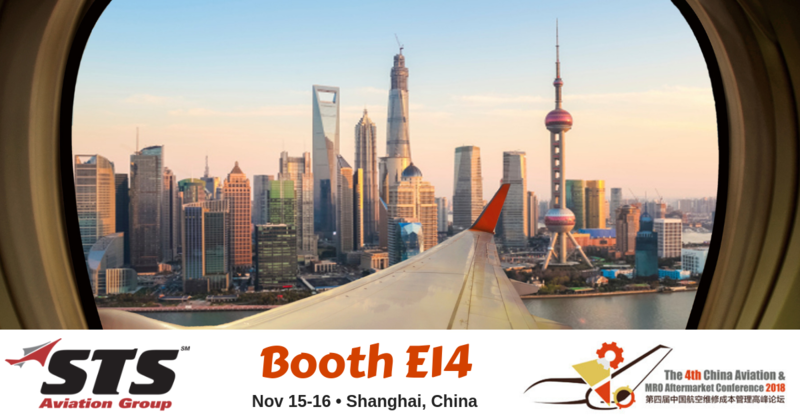 From November 15 – 16th, STS Aviation Group will be in Shanghai, China for the 4th China Aviation & MRO Aftermarket Conference. 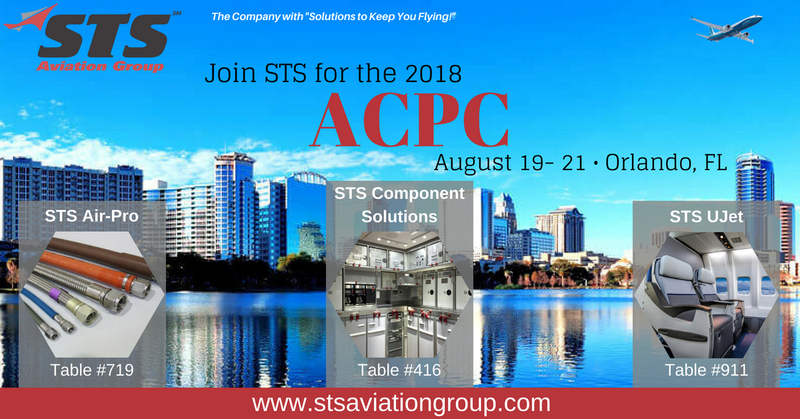 The entire STS Aviation Group team is excited to once again exhibit and share with attendees the news of the addition of the Zodiac Galleys Spares, Magee Plastics and Curtiss Wright OEM Product Lines. The 4th China Aviation & MRO Aftermarket Conference focuses on China aviation & MRO aftermarket maintenance cost management. This event will offer valuable industry trends and business development opportunities to attending companies. Figures indicate that during the past 10 years the average growth rate of China’s civil aviation fleets reaches at 10.95%. Last year, Chinese civil airlines introduced 362 aircraft and the total number of aircraft is now approaching 3,000. At the end of 2017, the number of Chinese general aviation aircraft totaled 2,127. The event’s organizers state that hub airlines, low-cost airlines, regional airlines, general aviation airlines have all entered a comprehensively prosperous and booming period. During the conference you can hear speakers from EasyJet, Turkish, China Cargo, Air China airlines and many more. Agenda topics also include Aircraft Maintenance Planning and Control, Inventory Cost Management, Best Practices for Reducing Material Costs, to name a few. You can view the complete agenda here. STS Aviation Group team members Tom Covella (Group President, STS Component Solutions), Pat Tyler (Vice President – Global Sales, STS Component Solutions), Jerome Kan (VP of Business Development- Asia Pacific, STS Component Solutions), Nina Lin (Account Manager, STS Air-Pro) and Theresa Liang (Account Manager, STS Component Solutions) will be available to meet with during the conference and discuss any of your company’s aircraft/engine component, interiors and aircraft hose manufacture/ distribution service and support requirements. During the conference on Friday November 16th, President of STS Component Solutions, Tom Covella will be speaking on the panel discussion topic Best Practices for Reducing Material Costs. If you are attending, be sure to check out this valuable and informative discussion being held from 11:35am-12:35pm. Covella will be joined by Peter Berg, Head of Supply Chain Management of SAS, Kevin Kuo, Senior Manager, Engineering & Maintenance Dept. of Tiger Air and Wu Jie, Deputy General Manager, Maintenance & Engineering Dept. of Huaxia Airlines. Moderator of the Panel Discussion is Rahul Shah, Senior Vice President, Strategic Growth and Business Development, Asia Pacific, Middle East and Africa of AAR. This dynamic and growing conference is sure to provide many valuable opportunities to connect and network with key industry professionals within the Asia-Pacific region and around the world. 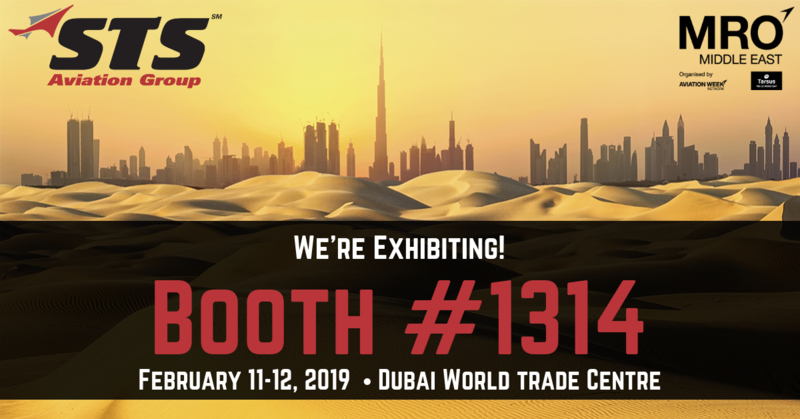 Be sure to fly by Booth E14 to meet the STS team and learn more about the company’s many value added services and support capabilities. We look forward to seeing you all in Shanghai! Ranked as the third largest trade show in the United States, the NBAA Business Aviation Convention & Exhibition (NBAA-BACE) will be held October 16th-18th, 2018, in sunny Orlando, Florida! STS Aviation Group is very excited for the opportunity to put its products and services on display inside the Orange County Convention Center at Booth #3359. If you plan on attending the event, come meet the STS team and learn all about what makes us the company with “Solutions to Keep You Flying! 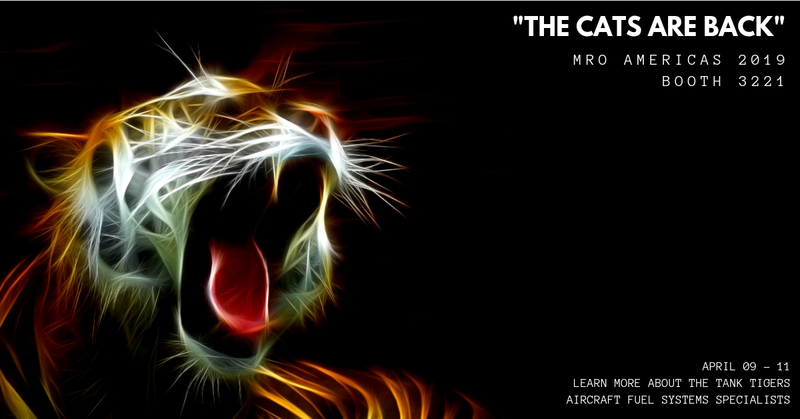 This dynamic conference brings together 25,000 aviation industry professionals for three days full of exciting events. 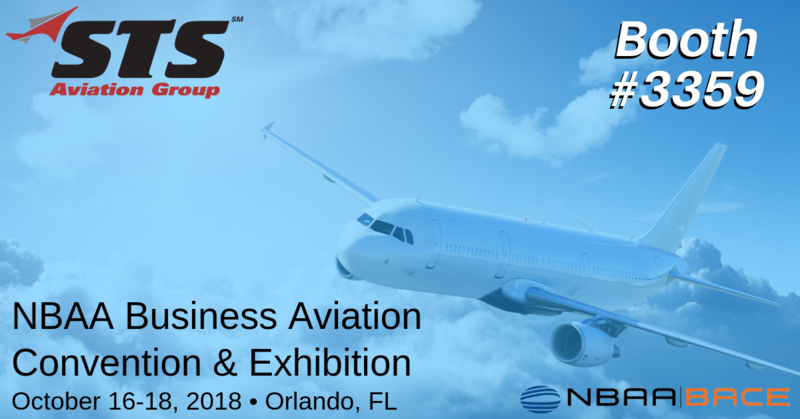 There will be over 1,100 indoor exhibitor displays, nearly 100 static business aircraft to see at the Orlando Executive Airport, and plenty of educational sessions and fun networking opportunities. Participants and guests of the conference can also expect agenda topics such as asset management, workforce retention, utilizing datalink in your operations and so much more! Networking events include the 5th Annual NBAA YoPro Networking Reception and the Corporate Angel Network’s (CAN) Fund an Angel Cocktail Reception, taking place at the Hilton Orlando. 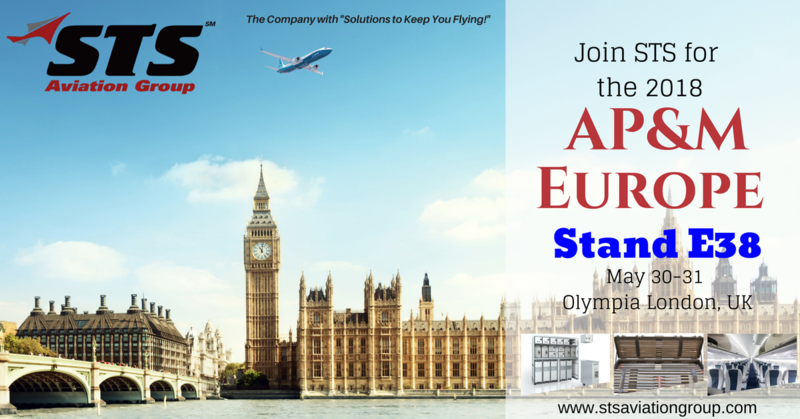 You can find STS Aviation Group at Booth #3359 during the exhibition. Key members Tim Russo (Director of Customer Solutions & OEM Distribution) and Kerry Obiala (Director of OEM Product Lines) from STS Component Solutions will be on site to discuss all of your aftermarket aircraft component & engine, OEM distribution and interiors support requirements. STS looks forward to once again being a part of NBAA’S Business Aviation Convention & Exhibition where airlines, suppliers, manufacturers, and other aviation industry experts connect to make critical strides within the industry. Remember to fly by Booth #3359 to meet the STS team. We really look forward to seeing you in Orlando! MRO Europe is the premier event of the EMEA region for the commercial air transport maintenance, repair and overhaul industry. Attendees from all over the globe will be on site along with 400 exhibiting companies putting their latest and greatest products and services on display. You can also expect agenda topics such as “Matching the Speed of Industry Evolution to the Pace of Customer Needs, MRO Europe Market Forecast and Key Trends, Preparing the Supply Chain” and a whole lot more! Featured events include the Heli Zone, Go Live Theater and Fokker Facility Tour. MRO Europe provides a world class venue for all levels in the MRO sector to exchange ideas and best practices, share experiences, debate issues and challenges and gather valuable knowledge. Key members of STS Aviation Group (listed below) will all be available to meet with during the conference to discuss any of your company’s needs. To contact an STS team member before the event, simply click the appropriate name below to be redirected to each person’s LinkedIn profile. 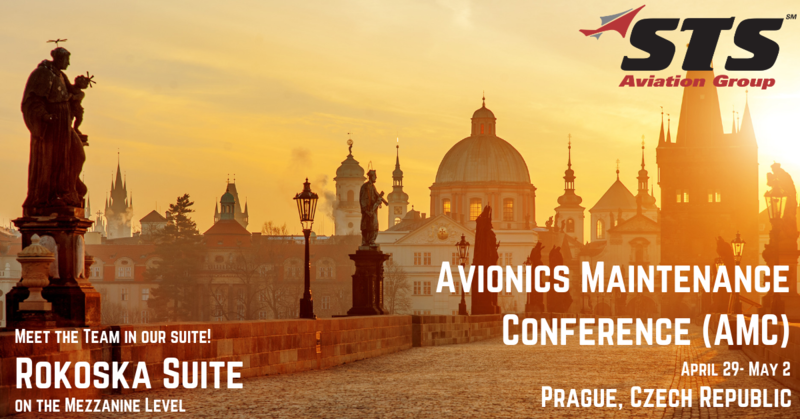 This event is a must attend for professionals at Airlines, OEMs, Aftermarket Supplier Organizations, Leasing Companies, Aviation Authorities and Regulators, and MRO Service Providers. MRO Europe offers unparalleled networking opportunities over the 3 days of the event and is THE place to develop new partnerships and build upon existing business relationships. Be sure to fly by Stand #4022 during the conference and meet the STS team. We really look forward to seeing you all in Amsterdam! The Aircraft Interiors Expo, co-located with APEX EXPO and IFSA Expo, is the season’s premier event bringing together airlines and supply chain organizations to network, display, experience and source the interior industry’s latest innovations. Event organizers state AIX Americas is the only global fall event dedicated solely to the passenger experience and cabin interiors industry. This year you can count on cutting-edge showcases like CabinSpace LIVE, seminars and experiences designed to get you closer to what’s new in cabin and passenger innovation! This includes on-board 3D and virtual reality experiences, inflight double beds and family suites and exhibitor displays from over 550 leading aircraft interior innovators. More than sixteen thousand people, professionals from 60+ domestic and international airlines and more than six hundred key airline representatives from all over the world will be in attendance. STS Aviation Group team members Tom Covella (Group President, STS Component Solutions), Pat Tyler (Vice President – Global Sales, STS Component Solutions), Tim Russo (Director – Customer Solutions & OEM Distribution, STS Component Solutions), Bob Heinson (OEM Product Line Manager, STS Component Solutions) and Ethan Steele (Vice President – Business Development & Sales, STS Engineering Solutions) will be available to meet with during the conference and discuss any of your company’s aircraft component, interiors and engineering service and support requirements. This dynamic conference is sure to provide many excellent opportunities to connect and network with key interiors industry professionals from around the world this fall. 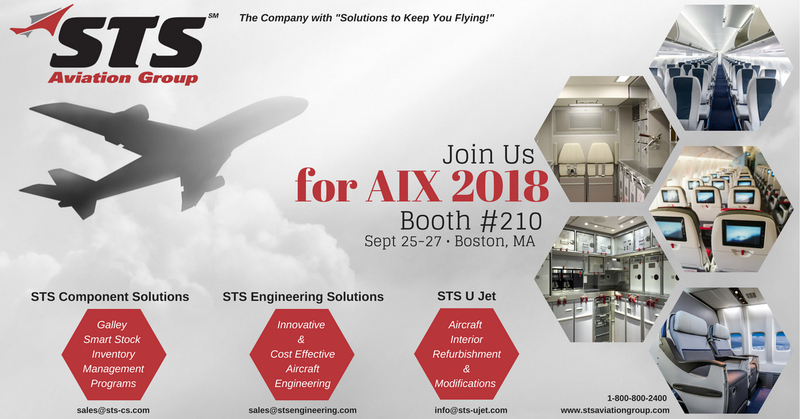 Be sure to fly by booth #210 to meet the STS team and learn more about the company’s many value added services and support capabilities. We look forward to seeing you all in Boston! The ACPC conference attracts more than 700 suppliers annually. Airline attendees and suppliers alike can meet in one place and discuss key issues, develop relationships and network in the many social settings the conference provides. This year at the exciting three day event you can expect the ACPC Golf Tournament at the Ritz-Carlton Golf Club, informative social media sessions in the Ops Center, a poolside afternoon at the Splash Pad, the Airline Round Table meetings, an Aviation Networking Forum, and much more! Be sure to fly by the Aviation Networking Forum inside the Coquina Ballroom of the JW Marriott during the conference and meet the STS team. We really look forward to seeing you all in Orlando!